Yesterday we photographed this great project in operation. Happy new year and season’s greetings to one and all from Kedmor! Micha Petri reported on the design and construction of this pair of 1835m long bridges, in Bridge Design & Engineering. 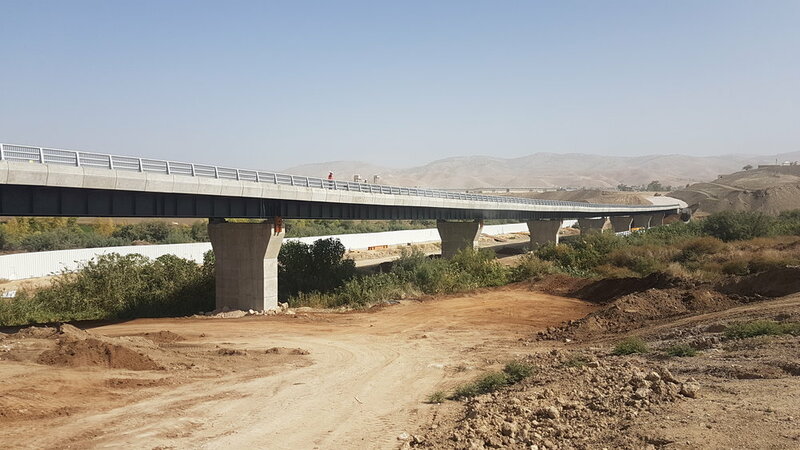 The Israel Railway electrification project was declared by the State of Israel as a national infrastructure project with a 12 billion NIS budget. The transition to electric locomotives will shorten the journey times, increase frequency of trains, significantly reduce noise pollution and eliminate air pollution along tracks and stations. Kedmor have been appointed as the Israeli Structural Designer on this international project. We recently visited our Loko-Oweto Bridge project construction site in Nigeria. The eastern bridge is now complete. This was a huge relief for the site logistics team, as the construction of the western bridge can now be carried out from the eastern one, rather than having to continue working from barges on the river! 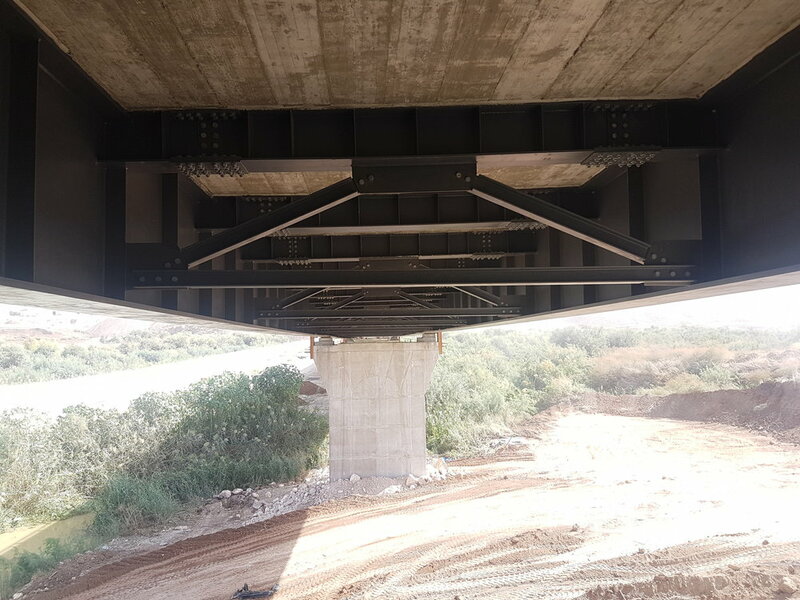 Kedmor were commissioned to provide structural engineering design and continuous site supervision services for this pair of bridges. The Jordan Gateway bridge has been captured on film, showing the progress on site. We designed the bridge and launching system for this landmark project. The Hoshaya Bridge over Route 77, designed by Kedmor, was opened to traffic. Season's Greetings & Happy New Year to one and all from Kedmor! As part of preparations for the transition of a tunnel boring machine beneath the foundations of the Em Hamoshavot Bridge, a tour of the Danya Cebus site was undertaken at the Petach Tikva despot to examine the readiness of the project monitoring team. A visit to the control centre located near the tunnel entrance, from which engineers are able to monitor the TBM, tunnel and bridge. They are able to control the TBM navigation system and monitor the bridge foundations located between two tunnels. This monitoring is done 24/7 by a combined team of engineers from Spain and Israel. A visit around the TBM machine located in the western tunnel, accompanied by a project manager, who is responsible for the monitoring. At the time of the visit, the TBM had not yet started drilling, however the last concrete ring had been fabricated. This year’s office outing included an outdoor breakfast in the scenic Golan, a visit to Kedmor’s Jordan Gateway Bridge, with talks by Shimon and Shahar on its’ design and construction, a BBQ lunch in the Ficus grove, with a great view and in a fantastic atmosphere and a visit to a bio-plant at Kibbutz Sde Eliyahu, where we heard about organic farming and advances in biological pest control.